“It’s time for us to lay it all down on the line for entire populations.” This was PolicyLink President Michael McAfee’s closing call to action for attendees at the StriveTogether Cradle to Career Network Convening last week. His keynote — which galvanized everyone in the room — was a reminder of what’s at stake and why this work is so important. “Don’t settle for individual successes and don’t become complacent with broken systems,” Michael said earlier during his speech, his words a pressing reminder that this work is about changing systems of oppression for people of color and those in poverty. Talking explicitly about race may create discomfort, but Michael said in this work, candid conversations are the only way to create change. Hold the right mix of solutions. To be effective in this work, every community needs the right mix of programs, policies and interventions. The entire community is an ecosystem, which needs to be configured properly to support students of color and to get students living in poverty out of it. 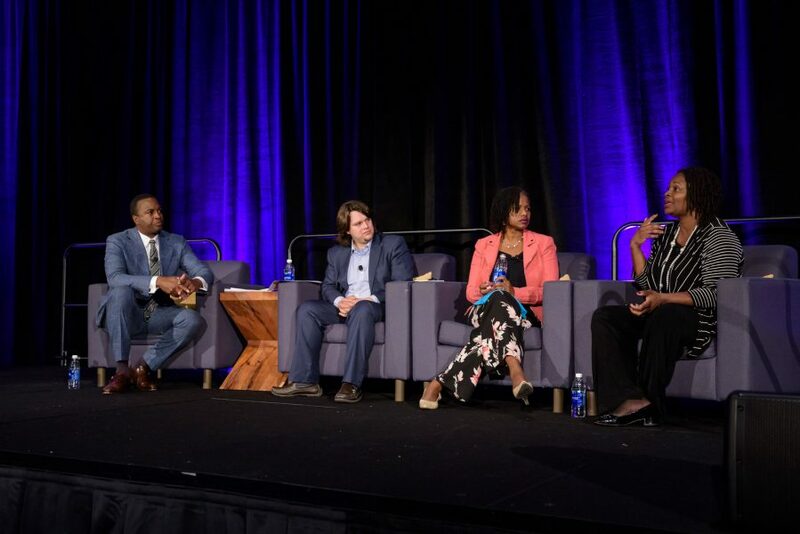 In the panel that followed Michael’s keynote, Sondra Samuels of the Northside Achievement Zone, Michelle Walker of Generation Next and Muneer Karcher-Ramos of the Saint Paul Promise Neighborhood talked about their work to change systems in Minneapolis-St. Paul, Minnesota. Doing systems-level work means not resting until we create new systems that work for every child. Walker from Generation Next, a local partnership in the Cradle to Career Network, said we all have the story of one child whose life was transformed by this work. But we need to eliminate inequities so every student has a success story. Despite all their great work, all three panelists agreed they are far from realizing the dream they’re fighting for. Minnesota still has one of the highest achievement gaps in the nation between white and black students. All three panelists said that it’s going to take public funding to drive the work that private philanthropic dollars are simply unable to. Minnesota’s State legislature recently passed $6 million to support cradle-to-career partnerships. This is a huge win for the cities and rural communities in Minnesota, but as we learned from Steve Ballmer a day earlier, this is not even a drop in the bucket of the more than $590 billion public dollars spent in the education space each year. We have to better align those dollars for the equitable impact we’re all striving for. In her closing remarks, Sondra described the current place in time we find ourselves. We inherited a house that wasn’t built right — one that was built on a foundation of slavery and oppression. However, we have the tools to fix the foundation, but first we must acknowledge the truth about poverty in America and the education of students of color. We must spend our lives working to change that truth because it is unacceptable. This resonated a lot with what I heard from people at the convening. We must be prepared to blow up broken systems and we must be willing to rebuild better ones. We must be willing to step into our power because 14 million kids in America need us to right now! Is there a chance you have the video of Michael McAfee’s speech? We unfortunately do not have a recording of Michael McAfee’s speech. 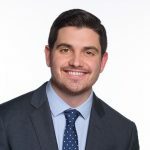 Pati, if you are member of the StriveTogether Cradle to Career Network and have access to the partner portal, you now can watch Michael McAfee’s speech.